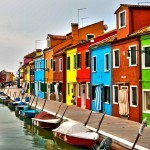 Burano is a small island in Italy situated north from Venice and this town is as cheerful as it can be. 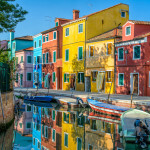 What gives Burano a special charm are it’s colorful houses with their reflections in the canal, each one painted with a specific bright and cheerful color. 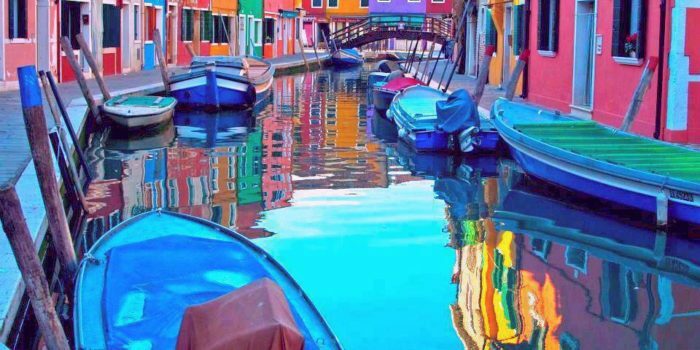 The story behind the painted houses comes from a local legend which says that many years ago, the fishermen of Burano decided to paint their houses is different, bright colours so that they could easily recognize them when travelling back home through the fog. 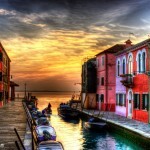 The island is also known for it’s handmade lace which is a famous, good quality lace. 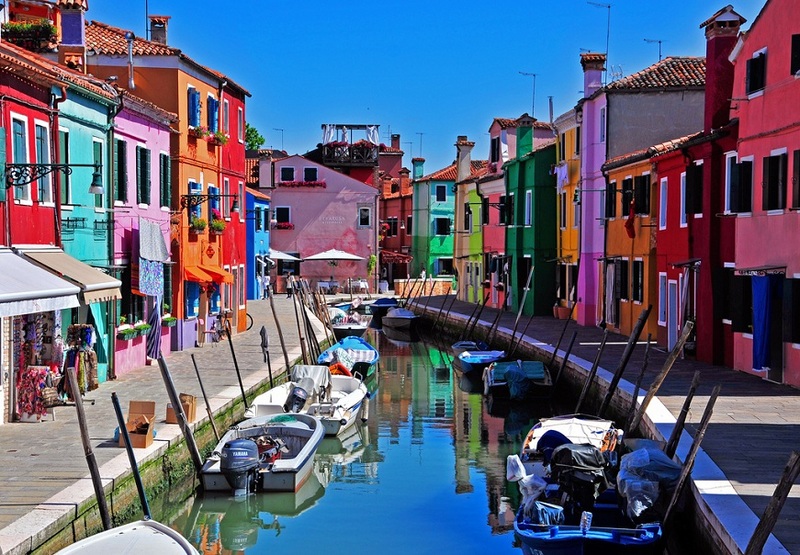 There are a couple central sights in Burano and they include the Church of San Martino with it’s recognizable leaning bell tower and also the Museum and School of Lace making, which as the name states itself, is dedicated to this island’s hand making lace tradition. 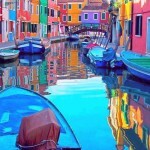 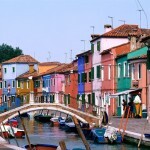 Burano is a modest, colorful and cheerful town which certainly won’t leave you feeling blue.